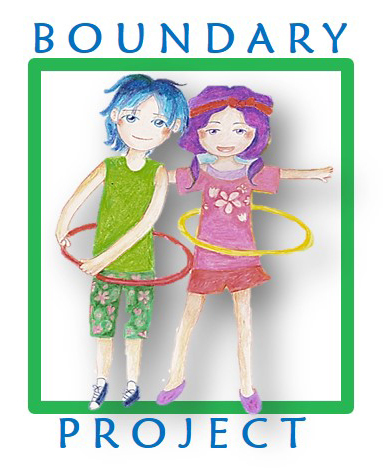 Boundary Project is an evidence-informed, family-focused treatment program for children ages 4 to 12 years who present with sexual behavior problems. This is an attachment-focused, integrative treatment model that includes attention to safety issues, supervision concerns, individual risk factors, trauma histories, and familial factors that may underlie the atypical or problematic sexual behaviors. Clinician's utilize cognitive-behavioral therapy, expressive therapies, mindfulness meditation, and they teach and practice affect regulation and impulse control strategies are presented and practiced with children and at least one caregiver. They also provide psychoeducation to parents and children in both individual and group formats. Attachment-focused activities are built into each joint parent-child session to repair or strengthen parent-child relationships that may be strained prior to treatment. Consistent with Gil Institute’s family-focused approach to therapies, Boundary Project clinicians apply equal therapeutic attention to the caregiver(s) in order to maintain positive therapy outcomes following treatment. Review Boundary Project's 12-session Picture Summary for parents and clients. Contact us or complete a Referral Form to make a referral. The current Boundary Project model was developed by Dr. Eliana Gil after a review of current research yielded a set of treatment components that were most effective in the short-term (reducing high-risk behaviors and attending to safety/supervision) as well as long-term recovery from the trauma, event, or familial circumstance that led to the behavior. Since many children referred for a sexual behavior problem do not have sexual abuse histories but may have a history of trauma, other developmental concerns, and/or exposure to sexual material on the internet, an Assessment of Sexual Behavior Problems in Children (ASBPC), a 4 to 6 session assessment, is recommended to guide treatment prior to placement in Boundary Project. The assessment helps guide and prioritize the treatment focus, including the needs of parents and siblings to both ensure safety and promote long-term recovery from the issue that led to the current behaviors. For more information about the current research that supports the Boundary Project approach, please visit the Association for the Treatment of Sexual Abuse (ATSA). ATSA's Task Force on Children with Sexual Behavior Problems completed a report which is j"intended to guide professional practices with children, ages 12 and under. Specifically, the Task Force was asked to address how assessment should be linked to intervention activities, what intervention models or components are most effective and the role of family involvement in intervention. The Task Force also addressed a number of scientific and public policy issues concerning children with sexual behavior problems (SBP)." The Task Force on Children with Sexual Behavior Problems Report can be downloaded in its entirety from ATSA.